If you have trigeminal neuralgia you will usually have episodes of sudden, intense, ‘stabbing’ pains in your face. Trigeminal neuralgia affects about 5 in every 100,000 people. It is more common in women than men and usually affects people between 50 and 70 years old. The most common treatment for trigeminal neuralgia is medication. The anticonvulsant drug carbamazepine is the drug most often used to treat trigeminal neuralgia. Carbamazepine eases pain within 24 hours for about 7 out of 10 people with the condition, and within 2 days for 9 out of 10. Some people with trigeminal neuralgia eventually stop responding to medication, or they experience unacceptable side effects. For these people, surgery may be an option. 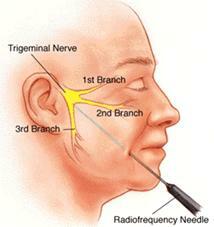 There are a variety of surgical procedures used to treat trigeminal neuralgia. Rhizolysis – in this approach, part of your trigeminal nerve is damaged or destroyed to block the electrical activity in the nerve that is causing your pain. Inserting a radiofrequency needle and causing a thermocoagulation lesion or injecting the chemical glycerol into the trigeminal nerve can achieve this. Or a tiny balloon can be injected through a hollow tube inserted through the skin of our check and then inflated to damage the nerve. 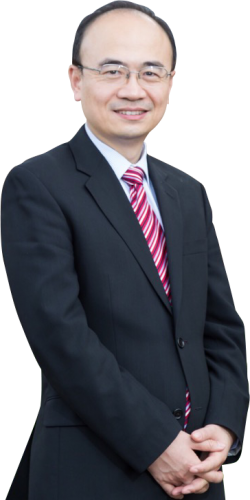 These procedures give immediate pain relief to almost all people, but between 25-50% of people will find the condition returns. You may need the procedure repeated, or to have a different procedure. And because this surgery is designed to damage the nerve, a possible side effect is permanent numbness to part of your face. Microvascular decompression – this approach may be used if your trigeminal neuralgia is caused by a blood vessel pressing on the trigeminal nerve. Your skull behind your ear is opened so that the blood vessel is lifted away from the trigeminal nerve. The success rate for this procedure is about 90%. A possible side effect of this procedure is permanent numbness in a part of your face. 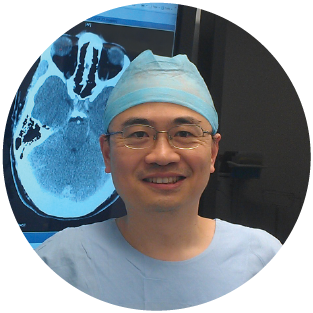 Stereotactic radiosurgery – in this approach, beams of radiation are used to target the trigeminal nerve where it leaves your brain, without the need for any cut. The procedure is fairly new and its long-term success rate is still being assessed, but it is expected to be successful for 70-80% of patients who undergo it.